Built in one town and moved to another 40 years later! We moved this panabode log home onto a new foundation over 400 kms away, stripped and renovated it top to bottom with today's modern amenities while still maintaining the warmth and character of a gorgeous wood structure. 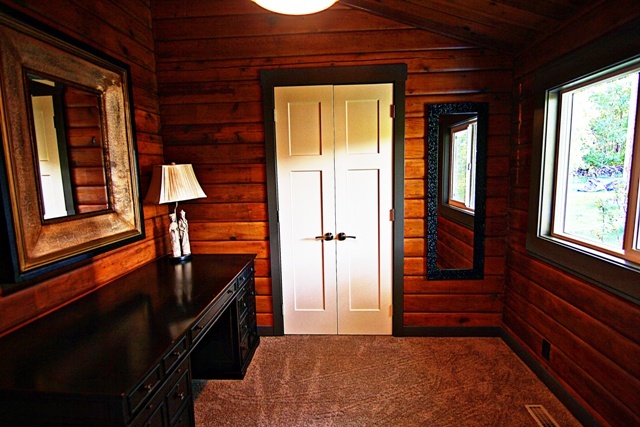 The refinishing of a log home is a labour of love.